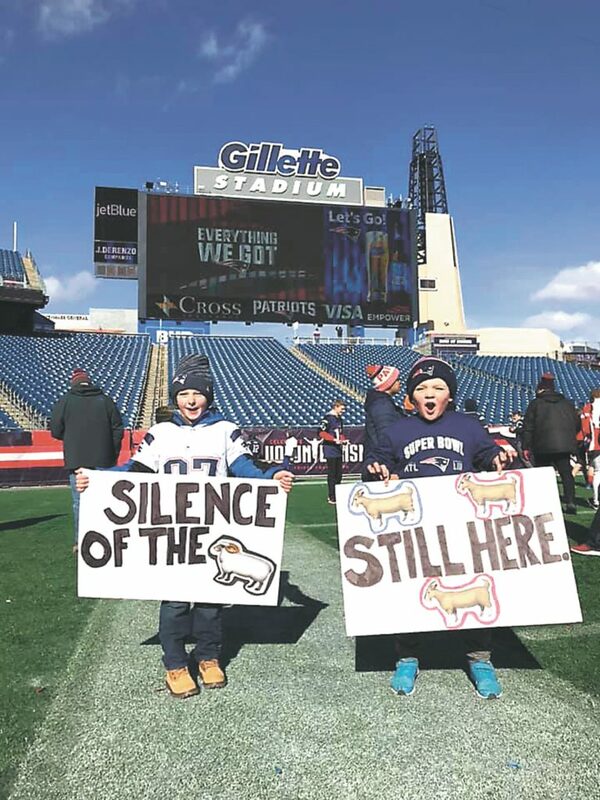 There’s no doubting how fierce a pair of Patriots fans that Braylon Cudworth, left, of Hollis, and Sean Fiffield, right, of Milford really are. The pair woke up at 4:30 a.m. on Sunday and got in line at 7 a.m. for the Super Bowl Sendoff at Gillette Stadium. It was cold, but the boys were steadfast, hanging out for three hours before getting the chance to salute their favorites Tom Brady, Bill Belichick and Devin McCourty, wishing them well as they head off for Super Bowl LIII.